I’m back, but just for a few minutes today! I’m getting the feeling that the theme around here for the next few weeks is gonna be quick and simple. And did I mention quick? Next time you’re having a get-together (Labor Day, anyone?) make these. Three ingredients and a few minutes of your time is all that stands between you and these deliciously tasty little puffs! Don’t they look yummy? I’ve had this idea floating around in my head for a while now…and last night I finally got around to testing it out. I ate about half the batch while the hubby was napping so I’d call it a success. You’ll be the hero of the party with this recipe. Just don’t tell anyone it only has three ingredients! Stab the sweet potato all over with a fork and microwave on high for 5-6 minutes until cooked. Scoop the sweet potato flesh into a small bowl. Add the goat cheese and mix until well combined. 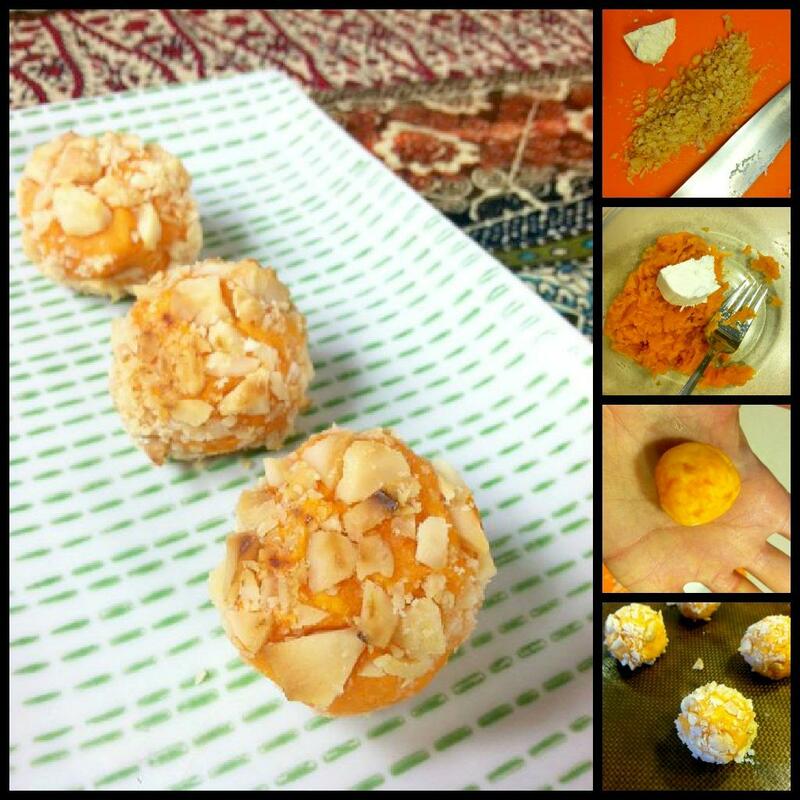 Take a small amount of the mixture and roll into a bite-sized ball. 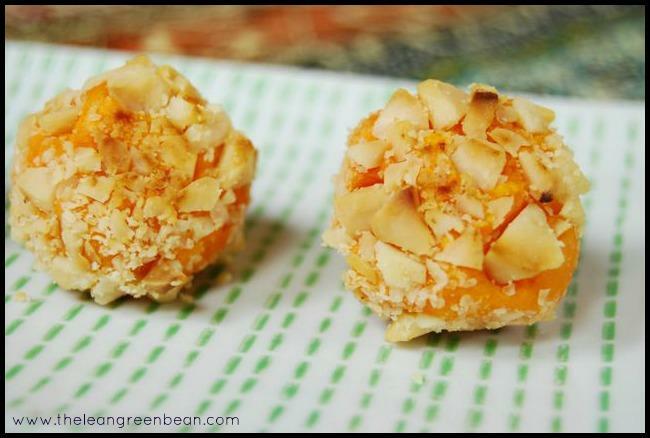 Roll the ball in the chopped nuts, pressing gently to help them stick. Bake at 425 degrees for 10 minutes, rotating once until the nuts start to turn golden brown. -Don’t make the puffs too big! Mine required 2-3 bites to eat. I think they’d be better if they only required 1-2 bites. -Make sure you chop your nuts up well enough! It helps them stick better. -You could try using another kind of nut if you wanted to! So there you have it, friends! These look AWESOME! You are so dang creative. Cook for me, please? These look delicious! Like little puff of yumminess. Hope you’re internship is going well!! When I saw these on IG I couldn’t wait for you to post the recipe! They look like little balls of deliciousness. You can quote me on that. LOL! These sound amazing, and so so so easy! YUM, can’t wait to make them! Looks and sounds amaze-balls. yeah I went there. Haha. Pinned it for future use and promotion. These sound amazing!!! Sweet potatoes and goat cheese are two of my favorite things! Definitely making these! Love the simplicity of this!! This would be super easy to double or triple, too! 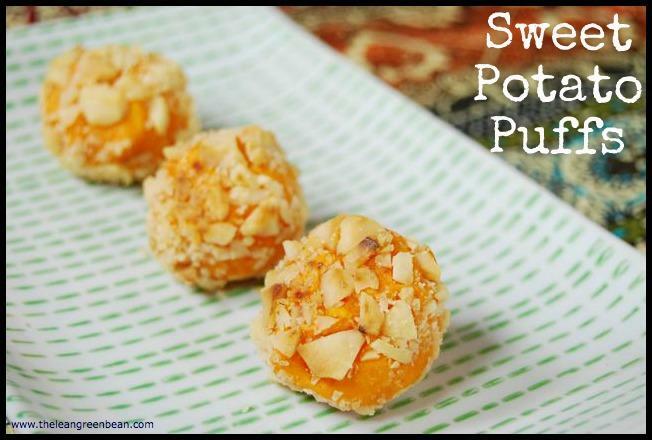 ohhhhhhhhh these sound amazing…and i just so happen to have a sweet potato just waiting to be made into something puffy and wonderful! Ah aha ahhhh too cute! too simple! I love that there are only 3 (realwhole) ingredients! And such tasty ingredients, at that. Mustmake. This is such a good idea, and so easy! I’m excited to try them! I am putting this on my list of recipes I need to try out!!! O.MMMM.G. These look amazing! Cant’ wait to try them! Such a good idea! I have a carry in for work on Thursday. I might just add these to the list to try! i am 100% making these TODAY! we’ve got like 6 sweet potatoes sitting on our counter. no macademia nuts though….i’m thinking walnuts instead? Yummy! I’m a lover of anything involving sweet potato! These look too easy and delicious NOT to make! Sweet potatoes are my favorite!! And this looks so yummy, I have to try and find out how to make something like this with only a microwave when I move back into my dorm! Looks amazing! Will have to try this week – how did you chop the nuts? Whooaaa! Nice. I love the look of these puffs. I am still making and enjoying varations on your tuna quinoa cakes, too. That’s my kind of puff!! You are so creative! These look so simple and so tasty. Want, want, want! I don’t think I’m going to make it to Labor Day. Maybe tomorrow. These sound SO good! Yummy! I’ll have to try these sometime! Oh. I am SO all over this. Thanks for the recipe. seriously those sound perfect, will have to make them for our next family gathering! I’ve been meaning to try a sweet potato recipe for ages. Those puffs look really delicious indeed , so I will definitely try this one. I would love to use some walnuts with those, I bet they are really yummy. Thanks for the great recipe! yum these sounds great! anything with goat cheese and im on board! All I can say is this is amazing! I love this dish! Mmmm, sweet potatoes and goat cheese is wonderful together!! These sound awesome! I’m totally going to be making these sometime soon! Oh ho ho ho HO!!! Hold the phone! These look amazing, Lindsay! And pure genius…sweet potatoes and goat cheese were meant of each other! These look so yummy Lindsay. I love anything with sweet potato :). Just pinned this recipe! Yum! These look and sound absolutely delicious. I have some sweet potatoes I need to use up and will probably try chopped almonds (since I have extras of those too). I can’t wait! These sweet potato puffs look great! This is one fabulous idea. Going to buy some sweet potatoes tomorrow! Any ideas for substitutes on the nuts? We’ve got two small kiddos who can’t have nuts yet but (mostly) love sweet potatoes! you could try panko breadcrumbs, or cornflakes or another cereal crushed up! Making these STAT! May have to substitute almonds for macadamia nuts though. Can’t wait! i think they’d be great with almonds…or even panko breadcrumbs! you could use panko breadcrumbs or perhaps a crushed cereal like cornflakes or chex! 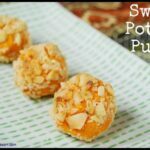 I love sweet potatoes, and these puffs look so good. I’m going to need these in my life. Pinned! [WORDPRESS HASHCASH] The comment’s server IP (72.232.7.50) doesn’t match the comment’s URL host IP (76.74.254.123) and so is spam. [WORDPRESS HASHCASH] The comment’s server IP (50.63.194.71) doesn’t match the comment’s URL host IP (50.62.37.1) and so is spam.